Our Union Square Scavenger hunt is a great choice for a team building, or private event. Union Square is always bustling and lively. 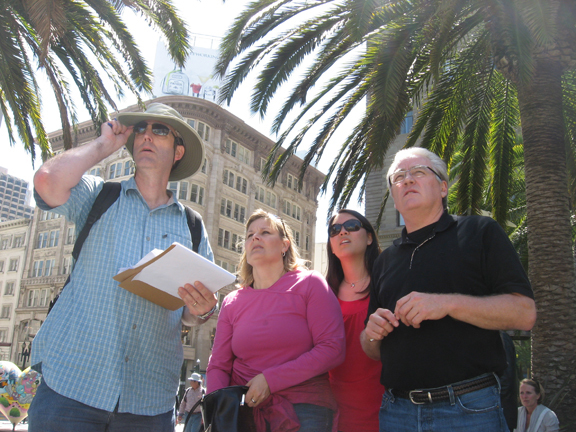 Our Operation: History and Mystery team building hunt covers the square itself, as well as the surrounding blocks, has some moderate hills, and is packed with fascinating bits of information about early San Francisco. It’s a short walk from the Moscone Convention Center, and is a great choice for out-of-town groups. To book this information-based scavenger hunt for your group, click on the Request a Quote button on the right side of this page!